Out of the common style of locks, which are the best type of locks, and how does the ANSI grading system work? The American National Standards Institute, abbreviated as ANSI, has established three grades for door locks to help identify the quality and durability of locksets and deadbolts. Each lock must pass rigorous testing for operation, security, cycles, door strikes, and weight testing. An ANSI rating of Grade 1 is the best. ANSI Grade 1 – Grade 1 is the best and highest grade security available. All locks tested at this level meets commercial building requirements and is also available to be used for residential deadbolts. For a knob lock to be rated at the best rating, it must withstand 800,000 cycles, 6 door strikes, and 360-pound weight test. Deadbolts must withstand 250,000 cycles and 10 door strikes in a hammer test. ANSI Grade 2 – Grade 2 is considered to be a better rating. Locks at the Grade 2 level exceeds standard residential security and building requirements while meeting light commercial building specifications. For a knob lock to be rated Grade 2, it must withstand 400,000 cycles, 4 door strikes, and a 250-pound weight test. A deadbolt must withstand 150,000 cycles and 5 door strikes with a hammer test. ANSI Grade 3 – Grade 3 is considered to be a good rating and meets residential building requirements but not commercial requirements. For a knob lock to receive a Grade 3 rating, it must withstand 200,000 cycles, 2 door strikes, and a 150-pound weight test. A deadbolt must withstand 100,000 cycles and 2 door strikes with a hammer test. Probably the most used type of locks is knob locks. Knob locks are used on a variety of doors from the front entrance to the patio or garage door. Knob locks have a door know on both sides of the door. One side has a lock button that you turn to lock or unlock, and the other side of the door has a keyhole that requires a key to be inserted to lock and unlock. The keyhole is usually placed on the outside of the door. Knob locks are commonly used but are also one of the most unsecure locks available as they can easily be broken or picked. As the name implies, these locks have a handle and are usually found on interior doors. If the handle lock has a lever, they don't require a key. You simply push or twist a button. Deadbolts are typically found on the front or main entry doors as they provide the most secure form of keyed lock protection at the most affordable cost. Deadbolts use a metal bolt that slides into the door jam. The bolt is controlled by inserting a key and turning. Within the deadbolt style of locks, there are single deadbolts which have a lock turn on the inside and a keyhole on the outside, a double deadbolt lock that has a keyhole on both sides of the door, a jimmy-proof deadbolt, and captive deadbolts. Keyless entry padlocks are controlled electronically. Deadbolts are also available with keyless entry pads. They require a code to slide the deadbolt open. They cost more to install but provide a high level of security. Find the best style and grade of lock for your residential or commercial security needs. Do your research, and ask a qualified and knowledgeable professional locksmith Denver to determine the best type of lock for your needs. Owning or renting office space puts you in charge of the business. This means that you are the one who reaps the benefits of profit when your company is doing well. It also means you are the one responsible to ensure the safety and security of your office building, its contents, and the employees who work there. One simple step you can take to make sure your new office is secure is to change the locks. Unless you are the very first occupant of the office, you just don’t know who has a copy of the key that allows access to the building. This should always be the first thing you do before moving anything or anyone into the new office space. When you move into a new office, there are six reasons why you should change your locks. These reasons include general maintenance issues of locks wearing out over time, handling lost keys or key control after an employee quits or gets fired, knowing what after-hour cleaning or maintenance crew to trust with a copy of your keys, keeping your office safe after reported break-in attempts, and always staying up to date with the best technology to keep your office and workers protected. It may not sound like a huge safety concern, but the general maintenance of locks calls for you to change them every so many years. Depending on the manufacturer, the exact amount of useful time a lock will function varies. Since, when you move into a new office, you’re never really sure when the locks were last changed or maintained, it’s a good idea to go ahead and get a new locking system in place from the start. After that, be on the lookout for rust or wear and tear, and have routine maintenance and cleaning performed on a regular basis. When an employee is fired or quits, it’s quite often an emotional time. Occasionally, one of these disgruntled employees will attempt to retaliate by trying to enter the office with harmful intent. Even if they turned in their keys upon leaving, they may have made a copy for themselves or for a friend or family member who may not have the best intentions in mind. Ensure the safety of your building and the workers by making it company policy to change the locks and keys whenever there is a shift in employment. Turnover in after-hour cleaning or landscaping personnel can also be a cause for alarm. If you give a copy of your office keys to cleaning, maintenance, or landscaping personnel who have access to the building before or after business hours, it’s imperative that you have fully screened and trust them. However, when there is a change in personnel, even if they return their set of keys to you, it’s important to make sure you change the locks since you don’t know if they have made another copy. Break-in attempts either directly to your office or in the area is always an urgent situation to address, even if the break-in reported was nearby and not targeted to your door. Make sure your business is as burglar-proof as possible by installing a new locking system. Lost keys is the number one reason people call for a locksmith’s help. But, the problem of losing a key runs so much deeper than a matter of inconvenience. Think about it. When you lose your keys, you don’t know for sure whether or not someone has it and is planning a break-in. Now, imagine an office that is filled with numerous employees, some of whom have misplaced their keys. This could pose a huge security issue with several copies of the key potentially in the hands of someone who could cause harm. 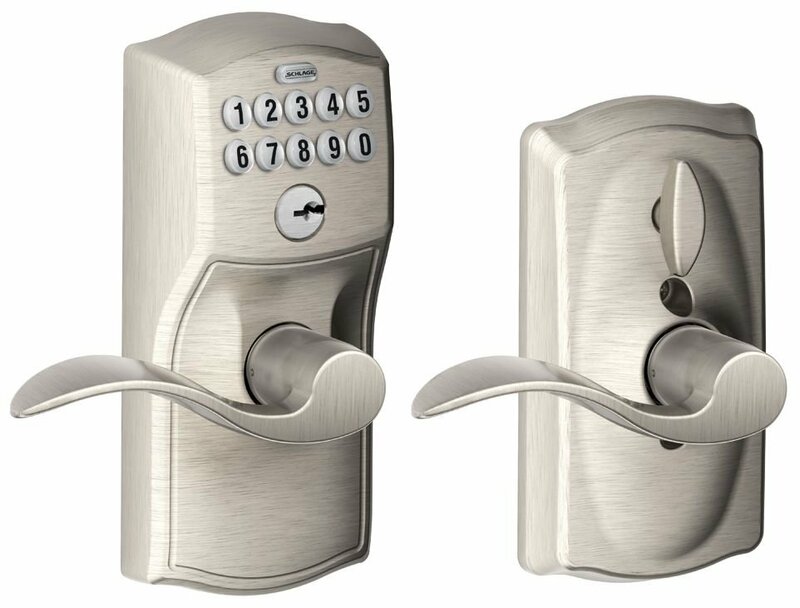 Know when to upgrade to electronic keypad locks. For you and your employees’ utmost protection, stay up to date with the latest in technology. Newer locks are being made that don’t require a key at all. Many are designed with a keyless entry system that involves your only needing to remember a specific code. And, these codes can easily be changed whenever necessary. Additional advances in technology make your business even more secure with fingerprint, retina or face recognition options. Regardless of what types of locks you have chosen to keep your new office safe and secure, it’s always a great idea to have a local commercial locksmith on hand whom you trust to service your locks, give recommendations, or be there in a hurry in the case of an emergency. Be sure to interview local professionals and know who to call for help before you move into your new office. The most important quality to look for when installing new locks is security. Of course, how the lock works and functions, as well as the cost, is important as well. When it comes to locks, some of the brands have made a name for themselves in terms of quality and performance. Here are some great tips on what to look for when choosing the best locks brands. Locks are graded on a system known as ANSI The American National Standards Institute. ANSI established three grades for door locks to help identify the quality and durability of locksets and deadbolts. Each lock must pass operational and security tests which are comprised of cycles, door strikes, and weight tests. Grade 1 is the best and highest grade security available, Grade 2 is better, with Grade 3 being Good. Deadbolts provide the highest level of security for residential doors. They are named, “dead' because they do not contain springs. They contain either a single-cylinder operated with a key from the outside and a turn button on the inside or as a double-cylinder that has a key on both sides and are highly secure but also pose potential safety issues when a quick emergency exit is necessary. In Europe, Yale locks have a name that is synonymous with all brands of locks, much like Kleenex is in the US. Yale locks are widely considered to be the creators of modern day pin tumbler locks. All other pin tumbler style locks are based upon the work and design of Linus Yale, Jr. and Henry R. Towne. The locks are well constructed and are often sold with two or more spool pins. Corbin Russwin offers locks brands that are known for their durability and strength, making them ideal for commercial grade facilities and schools or other high traffic institutions. These locks are easy to service and replace. The Mul-T-Lock brand is trusted for the strength of the silhouette's bicep flex design, which creates a very secure lock that is difficult to pick. The RR B Brink brand is the most trusted brand of lock and is used on the highest security locks, like prisons. The lock is a large mortise cylinder. Medeco locks brands are a very trusted brand as they offer ten locking systems that offer an environmentally friendly CEF Certified Environmental Facts multi-attribute certification. Medeco also offers eCylinder and wireless locking systems. 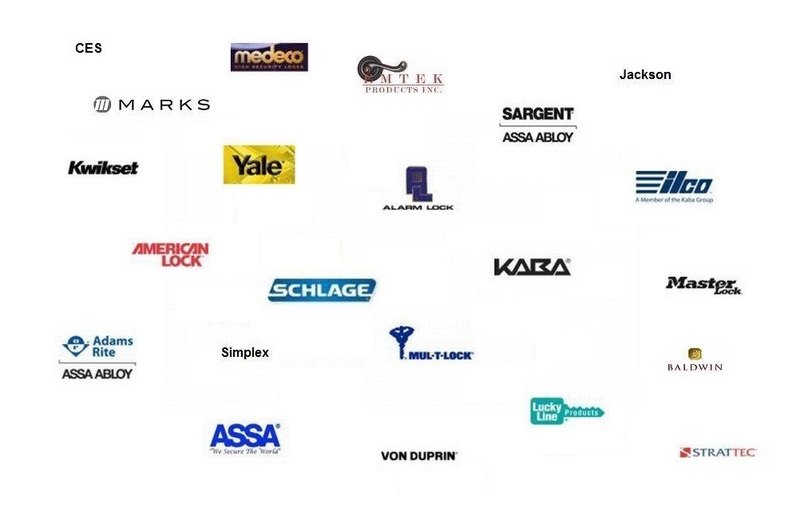 Schlage is a well-known lock brand among locksmiths. They offer both keyless entries and keyed locks. They are a leader in the industry, known for their lock security solutions for home and office needs. Schlage locks are readily available in most home improvement stores. They provide a sturdier construction and are harder to pick or bump than the cheapest brands, though they are only slightly more expensive. Kwikset locks brands offer a SmartKey technology which allows you to re-key your lock yourself, making it appealing for rental properties and businesses where locks changes are often needed. Kwikset locks are on almost every door in the United States. Their standard lock is the most affordable lock brand available, which is easy on the pocket book but not necessarily the smartest security move. These locks are typically the easiest to pick or bump open. Arrow locks brands place a strong emphasis on security while keeping their locks affordable with professional-grade engineering. They are specifically designed for security professionals. Their locks are often used in schools, universities, libraries. Sargent locks brands are known to be very secure and are used in schools and hospitals where there are high traffic and a high need for security. They offer key-less entry, fobs, keypad locking systems, and keyed entries. This company offers an all-inclusive electronic key card system and mobile access solutions. Homeowners as well as apartment complexes, rental vacation property owners often turn to this brand as their first option. Baldwin Locks brands are available at most home improvement stores. It is a trusted brand that is decent quality, designed with solid construction. Baldwin makes strong locks with solid construction and thick enough to withstand bumping break-in attempts. A reliable lock can also be aesthetically pleasing to match your home design style. 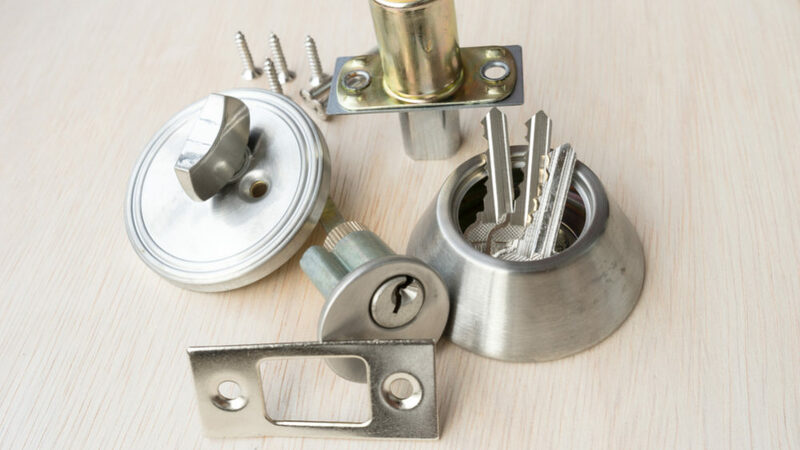 Baldwin offers traditional and contemporary hardware options that complement the look of your home or office while giving you peace of mind for security with knobs, key-less entry, levers, pocket door locks and deadbolt options. Falcon locks brands are found in high-level security buildings, like the White House, prisons, and the Pentagon. With a focus on functionality, Falcon offers automatic door locks, touch bar exits. Adams-Rite offers locking systems that are ready for industrial environments. 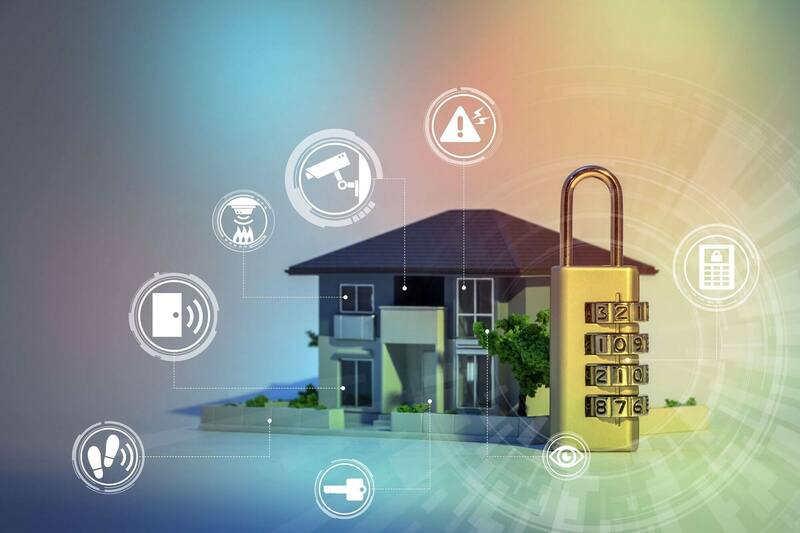 They offer an electrified strike and latch, eLatch, and electric door locking systems that ensure high levels of security with ease of control. Your security rests on the quality of your locks. Find out which brand of lock is best for your needs by contacting a qualified and knowledgeable locksmith today! You're careful to make sure you have working locks on your home or business, so how important is it to also have a deadbolt lock installed? A good lock adds an additional point of security. Typically, doors have a spring lock inside the handle and then add a deadbolt lock for extra safety measures to prevent break-ins. 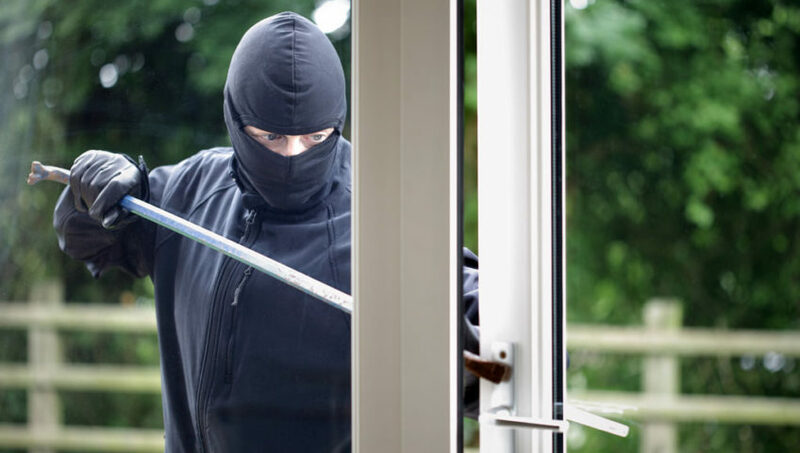 According to the FBI, sixty percent of break-ins occur by use of force. If a burglar tries to kick in your locks, a deadbolt lock provides extra strength. There is, of course, one main occurrence when a deadbolt won't protect you, and it's the result of a very simple yet careless action of forgetting to remove the key from the deadbolt when you enter. If a criminal sees the key, he or she has immediate and easy access to open your door, deadbolt or not. Another easy-to-remedy deadbolt failure is when you turn the lock but haven't really bolted the deadbolt securely. Even the most expensive and complex deadbolt is not going to offer protection for you and your family unless it's bolted properly. For extra security measures, ask about a twofold chamber deadbolt. Often when a deadbolt meant to protect seems to have failed, it is really the door jamb that has broken and not the lock. Make sure your deadbolt offers the highest level of protection! by fortifying the strike plates with longer screws that are mounted into wall studs. Have you recently moved into a new home, apartment, or office building? or don't know how many keys to your doors are out there in the hands of someone you don't trust? always have your locks changed and consider adding a deadbolt for added security. 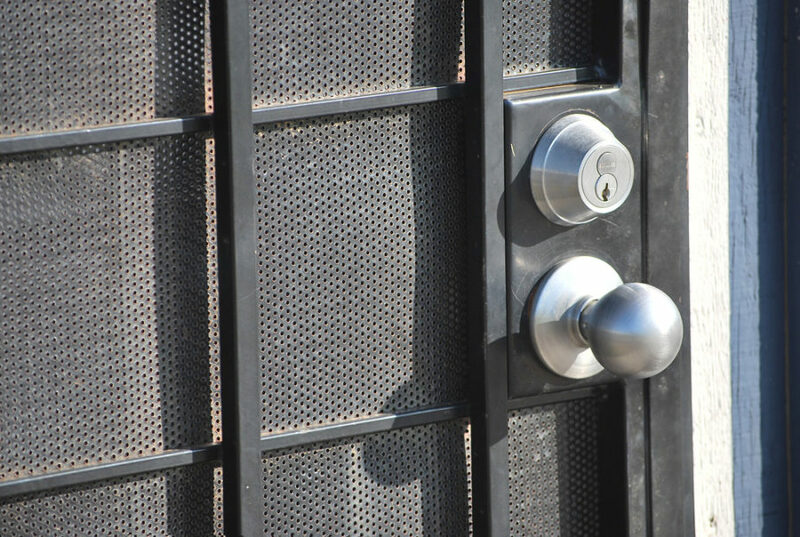 Contact our professional Locksmith Denver to discuss the importance of having a deadbolt lock installed on your doors. Contact us at (303) 749-0505 for any deadbolt locks and doorknobs question 24 Hours A Day 7 Days A Week. When to change locks for your home, business or car? You searched your handbag for your house keys, but can't seem to find it. You looked around in the car, rechecked the key hanger and other places where you usually leave them. If you still can't locate the keys, it is likely that you've misplaced them. The first thought that strikes you at that moment is to call a professional locksmith to open the door. However soon or later, you will have to consider changing the locks on your home because a lost of bunch of keys put your property and possessions at stake. There are many more situations that call for locks change services. A vast majority of people rent out properties as an investment. Although not a compulsion, a change of locks is always recommended when you switch tenants. You might also need a change of locks if you are considering ways to upgrade the security of your home or business. A professional locksmith like Locksmith Denver can handle the task for you. They are trained in the trade. They also have the necessary equipment to open jammed locks and fix broken units. When to change locks for your business? A business owner knows he needs to call a locksmith Denver when one of his employees admits that he has lost his copy of the business' door key. When this happens, the locks for every door, need changing or re-keyed. A professional locksmith like Locksmith Denver responds quickly! arriving at the business to remove the old door locks and install new locks. If the locks are high-security door locks, these will be replaced with a new set of high-security locks, they will bring the locks with them. When to change locks for your home? Homeowners and their family members find that they need to replace their house keys. If one family member's house key has broken off in a door lock, that key portion has to be removed. The door lock may also need replacement which will make it a good thing to re-key locks in the rest of the house to much the same key. The locksmith who responds to the service call will remove the broken key from the door lock, and then examine that lock for any damn the broken key may have caused. if the door locks need to be replaced, they will bring several matching sets back from his truck and replace all door locks. Homeowners may change their locks when moving to a new house or apartment or post-burglary. After a homeowner has been burglarized, he has to look at every measure possible to increase his home's security. This can include changing screen doors to security doors and replacing hollow-core doors for solid-core doors. The homeowner can also think about having a home security system installed. When to change locks for your vehicle? While locksmiths replace home and business locks, they are equipped to do the same for vehicles. For the wide range of vehicle makes and models it will be possible to re-make a new car key for the existing car locks and ignition. When the owner's car keys get stuck inside the ignition, this is a situation a professional and well-equipped locksmith like Locksmith Denver can address. They will extract the stuck key and examine the ignition for any possible damage. They may recommend that the ignition will be replaced when they see an inner damage. Locksmith Denver can assist with all! new car keys and ignition repair for most vehicles and to assist with a lockout service around the clock 24 hours.